After a stray puppy got hit by a car, she lay paralyzed in the snow for 12 hours. 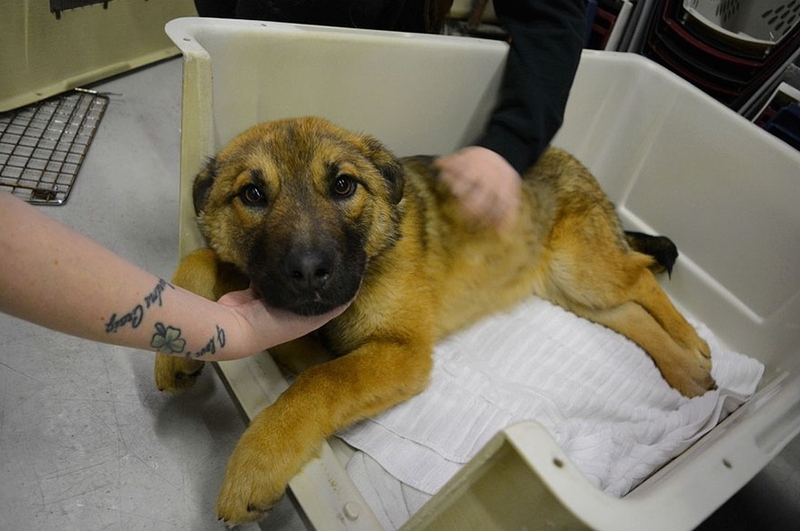 The puppy was hurt in a northern community of Alberta, Canada, and had broken her pelvis. Unable to move and with temperatures below freezing, she didn’t have much hope of surviving. Fortunately, she was spotted by some teenagers and the animal rescue AB Task Force was notified, who in turn called Alberta Animal Rescue Crew Society (AARCS). 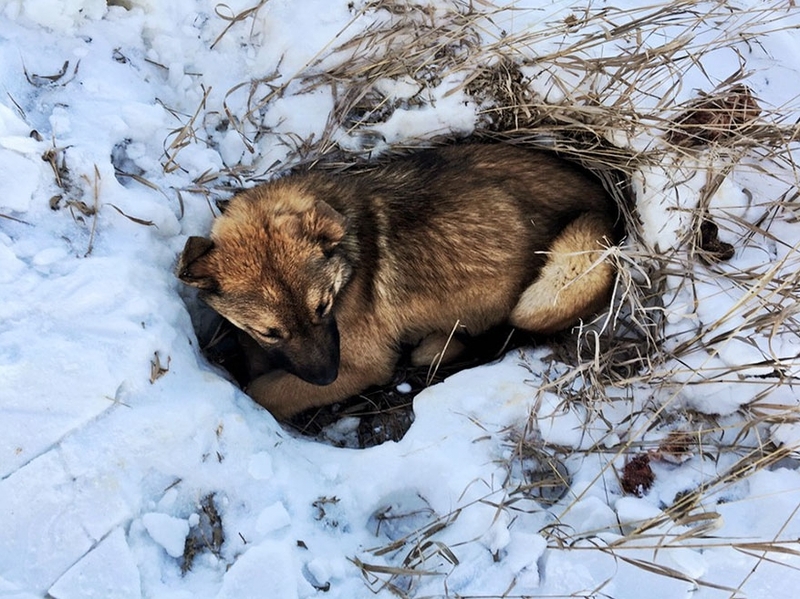 “She spent over 12 hours lying there alone and cold before rescuers found and rushed her to SAVEvet,” wrote AARCS. The snow had melted around her because of her body heat. The puppy, now named Nutmeg, was happy to see her rescuers when she was found. As Nutmeg is recovering from her broken pelvis, she’s restricted to crate rest for 6 weeks.”So lots of treats, kisses and back scratches for this girl!” said AARCS. 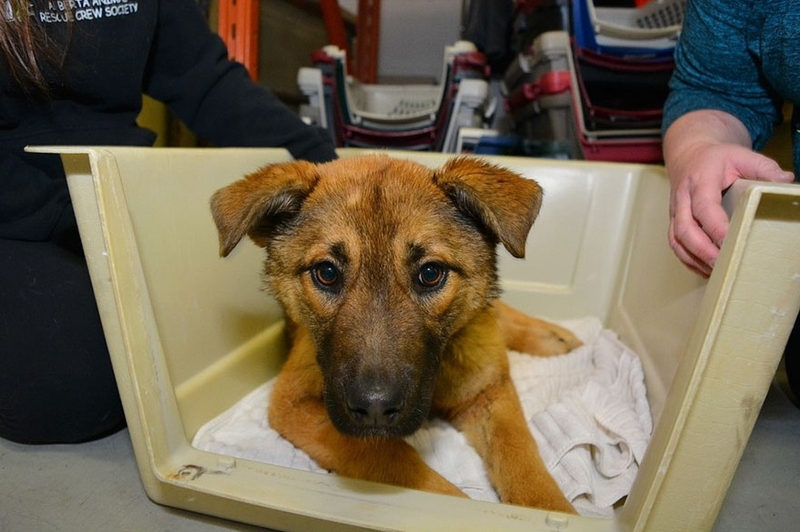 In Alberta, thousands of cats and dogs are homeless, abandoned, abused or living in horrendous conditions. Alberta Animal Rescue Crew Society works closely with rural and First Nations communities where there is limited to no animal services. In 2015, AARCS took in over 2,000 cats and dogs. They cared for them by providing medical care, spaying/neutering, vaccinating and then found their forever families. 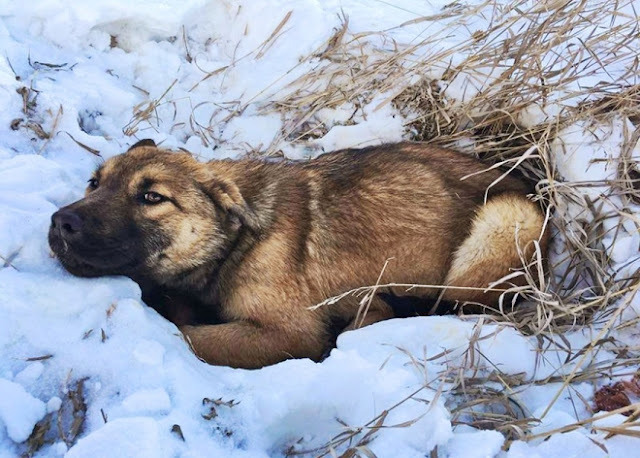 Responses to "Stray Puppy Hit By Car And Unable To Move, Finally Spotted After 12 Hours In Cold"
First Nations will not alter the dogs. They either don't believe in it or don't want to spend the money. I suppose the same goes for white people but it is very prevalent on the reserves. They are usually large breeds and it is very very hard to get homes for them. Should be some kind of law but we all know how that goes. Too bad, really. Very nice animals.